It is always a good design philosophy to provide RF bypassing of power and dc control lines to the VCO. This is indeed the case when the VCO is located some distance away from the power supply. 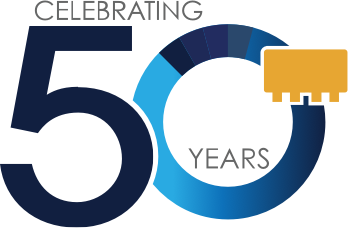 RF chokes and good bypassing capacitors of approximately 1000 pf to 0.1 μF is recommended at the DC supply lines. This will minimize the possibility of feedback between stages in a complex subsystem. Improved bypassing may be provided by incorporating an active filter circuit shown in figures 1 and 2. This type of RF bypassing is recommended for applications requiring a high level of noise suppression for externally generated noise signals. In most cases, the performance of the circuit in Figure 1, which is current biased, will be adequate and will have the advantage of better low frequency bypassing performance for a given value of base capacitor, fewer components, and lower power consumption. 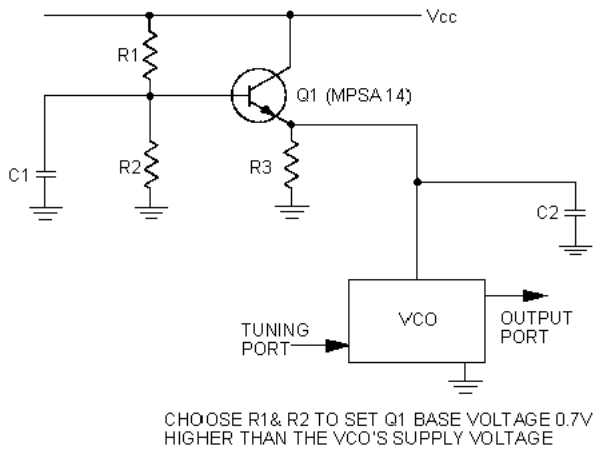 It is only necessary to use the circuit in Figure 2 when the higher isolation offered by a larger Vcc is required. The circuit in Figure 2 is voltage biased. In this case, the circuit in Figure 2 offers a more stable operating point. 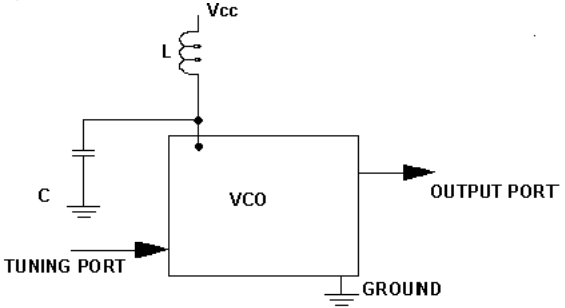 Place a low ESR electrolytic capacitor of about 10 μF on the Vcc line (See Figure 3). In addition to the 10 μF capacitor mentioned in number 1 above, the decoupling of the Vcc line can be enhanced further by including a choke about 10 μH in series with the Vcc (See Figure 4). Provide an active bypassing as shown in Figure 1 and 2. Figure 4: Typical connection diagram. 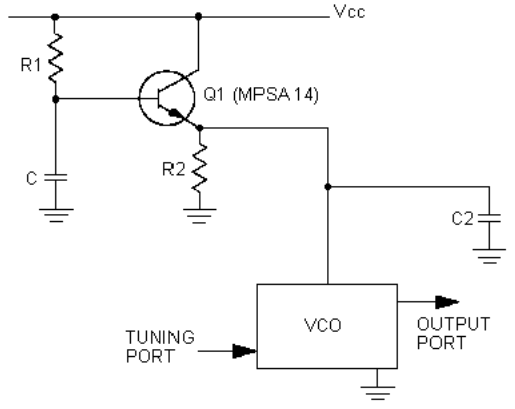 Additional RF decoupling provided by LC type filter improves power line filtering.